See shooting stars! Leonid Meteor Shower peaks tonight!! Tonight will be the peak of the Leonid Meteor Shower, so if you look up and its clear, you will probably see shooting stars! If its not clear, head over to space.com or Slooh Community Observatory for a webcast of the meteor shower!! The Leonid meteor shower, one of the most celebrated of the year’s annual “shooting star” displays, will peak overnight tonight (Nov. 17) and early Wednesday morning. You can see the famous Leonids this year even if clouds or bright city lights spoil your skies: The online Slooh Community Observatory will air a free Leonids webcast Tuesday at 8 p.m. EST (0100 GMT Wednesday) featuring live views from locations on four continents. You can watch this broadcast by joining Slooh and also gain access to the observatory’s archive of past shows. NASA hanger revamped for production of Boeing Starliner!! 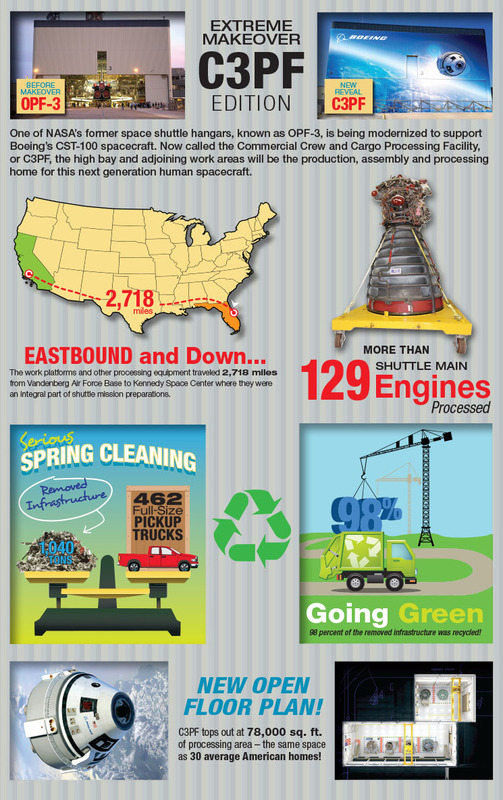 Info on the new Boeing Starliner production facility!! Meet the CST-100 Starliner, the newly unveiled name of Boeing’s commercial crew transportation spacecraft. It’s been designed with a focus on automated flight, reliable operation and frequent flights carrying NASA astronauts to the space station. It also may take paying customers to the awe-inspiring heights of low-Earth orbit and the unique sensation of sustained weightlessness.